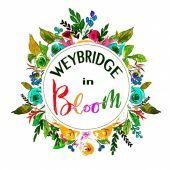 Weybridge in Bloom will help in getting people together; improving their local environment and creating spaces that are a source of pride for people of all ages. This will primarily be through encouraging gardening and horticultural activities in open and public spaces that complement the character of our town and adds colour to our surroundings. As a community run initiative, we welcome all residents to partake in this endeavour and help make it a success. If you would like to join us, bring your gardening gloves and spade on this Sunday 25th November, 10 am outside Morrisons, Weybridge at our very first bulb-planting event.